Unifor President Jerry Dias says the CAMI plant "is the poster child for how things can go awry" under NAFTA. Labour negotiations at General Motors’ CAMI assembly plant in Ingersoll, Ont., kicked off Thursday as about 400 workers at the plant are slated to be laid off this month. Leaders for GM Canada and Unifor, which represents the CAMI workers, met in Ingersoll today to begin contract talks. The current four-year contract expires on Sept. 17 at 10:59 p.m. The labour talks begin as General Motors is slated to lay off at least 400 workers at the plant by the end of the month as it shifts GMC Terrain production to a Mexican plant. 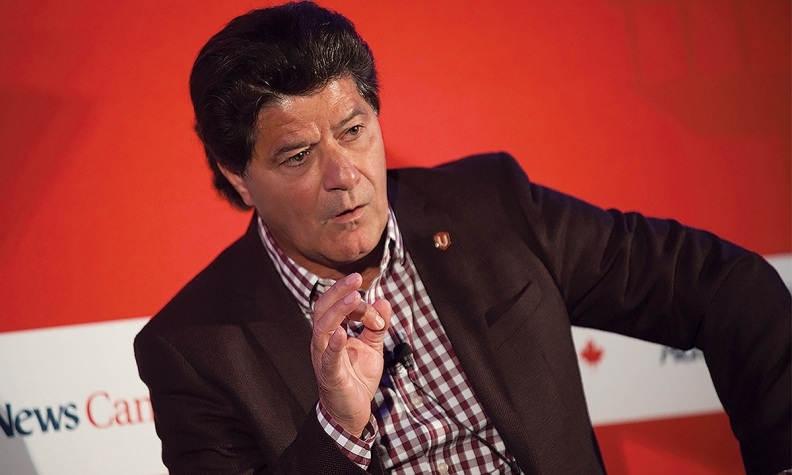 Unifor President Jerry Dias said about 100 workers will be laid off on Monday, while GM will lay off another 300 to 350 people by the end of the month. About 200 workers took early retirement packages earlier this year. Dias said the union’s top priorities in contract talks are finding a solution to get the laid-off workers back to work and to secure the plant’s long-term viability, potentially through new production. “We have to find a way to maximize the output in the plant,” Dias told Automotive News Canada. Still, lining up product could figure to be less prominent in these negotiations, as GM invested $800 million into the plant in 2015 to build the next-generation Equinox. Production of the new Equinox began in January, and it comes as sales of crossovers boom in Canada and the U.S.
“At GM Canada, we are proud of the experience, quality and productivity of our CAMI workforce and will work with our union partners toward another innovative mutually beneficial competitive agreement,” GM Canada said in a statement. Despite the layoffs and the exit of the Terrain, GM said the plant would continue to operate on three shifts. CAMI will employ about 2,450 hourly workers following this month’s layoffs, in addition to about 300 salaried workers. The labour talks come as representatives for Canada, the U.S. and Mexico are due to begin North American Free Trade Agreement renegotiations next week. Dias said he believe the timing works out in the union’s favour, as Unifor will be able to highlight the problems it has with NAFTA through the plant, one of GM’s most productive. Dias, who said he will be in Washington for the NAFTA talks, has been a vociferous critic of the free-trade agreement, saying it has burned autoworkers in Canada and the U.S. as automakers and suppliers take advantage of low labour standards in Mexico. The CAMI plant, originally a joint venture between GM and Suzuki and fully owned by GM since 2009, was not included in 2016 labour talks between GM and Unifor because it is on a separate contract. According to the Automotive News Data Center, the CAMI plant produced 105,167 Equinox crossovers through June, a gain of 7.1 per cent from a year earlier. Terrain production dipped 2.3 per cent to 67,303 units.